When the dog has a problem behaviour or has behavioural issues it can have far reaching consequences on both the dog and the humans involved. Problem behaviours and behavioural issues in dogs are a major cause of household and relationship stress for the owners. Beyond this these problems also adversely affect the dog with the most common result being that the dog is relegated to the back yard because he or she is too hard to deal with for any number of reasons. We frequently work with the most problematic of dogs and have earned a significant reputation throughout Australia as providing the highest quality service, advice, and treatment to dogs that have often been through 2, 3 or even more trainers trying to address very complex problem. Not all problem behaviours or behavioural issues can be fixed however where this is the case the vast majority of them can be greatly reduced in frequency and or intensity, and management tools can be put in place to allow the dog and the owners to enjoy a much increased quality of life. It frequently happens that the dogs we work with go on to have very productive relationships with their families as they become more manageable and enjoyable live with once again. When dealing with problem behaviours or behavioural issues there are typically 2 or 3 elements that are or are not happening with all for the dog that, when addressed, provide rapid improvement in the situation. Even though long-term work may be required this is often heartening for clients as they can say an immediate return for their investment of time and effort. Aggression, fear, timidity, nervousness, anxiety, hyperactivity and phobias are amongst the many problems that the modern dog owner may encounter. Poor training and management practices recommended or used by underqualified, inexperienced, or unscrupulous dog trainers often serve to make these issues worse. Early intervention by an appropriately experienced and dedicated professional service such as Canine Services International is imperative in breaking the cycle that perpetuates these problems. 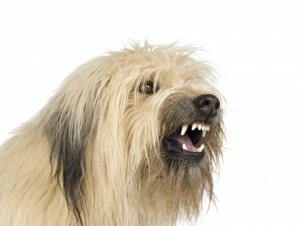 Aggression in dogs is currently a topical issue and should be of paramount concern to dog owners. Asides from the animal welfare implications of an aggressive dog having this behaviour go unaddressed over any period of time there is also the concern of associated legal action should the dog become involved in any type of incident. 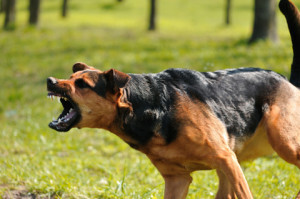 Canine Services International are the premier aggressive behaviour specialists and are able to provide insightful and accurate behavioural evaluation in canine aggression cases. Through a decade of experience in this area we have become known as Subject Matter Experts (SME) and frequently provide specialist advice and professional services to leading canine law experts, dog owners and animal management officers amongst others. With an increasing focus on animal welfare in our society dogs that have been rescued from sad circumstances and given a 2nd chance at life are becoming more and more common. The kindhearted people that make a commitment to providing these chances to rescue dog often also inherit one or more problems that saw the dog be put up for re-homing or adoption in the 1st place. 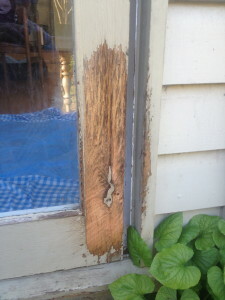 If you are dealing with a situation like this then rest assured that CanineSservices International are extremely well placed to help you integrate a rescue dog in your home in the least problematic way possible, and helping to adjust the shortest time possible. Where appropriate we refer clients to our network of veterinarians and veterinary behaviourists that can do further testing, although the vast majority of problems can be meaningfully addressed without the need for medication. Where directed we can then work in conjunction with these professionals to provide the ongoing training and behavioural modification programs required to best help your dog.